The price of a new build property is often much higher than that of an existing property. You may be wondering, then, if the premium on a new build flat is worth it. What are the pros and cons of new builds versus conversion flats? And which is the better investment? Better quality – As new build flats are purpose-built, they tend to be of better quality and have a more logical layout when compared with their converted counterparts. Therefore, they may appear more spacious. Lower bills – A new build will comply with the latest building regulations, and they are likely to be more energy-efficient, which means savings on energy costs. Incentives for first-time buyers – Schemes such as Help-to-Buy and Shared Ownership are only available for new build property. 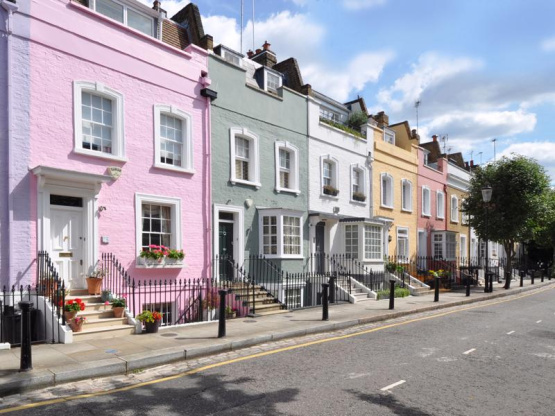 This could be a huge help if you’re a first-time buyer - read our top tips for buying your first home in Brixton. Cost – On average, the premium for a new build property is 29%, according to Land Registry data. For flats, this jumps up to a whopping 63%. On the one hand, this means new builds have more value. Yet, it all depends on the level of investment you can afford. Lack of amenities – In some cases, new builds are developed in a whole new community. This might mean less access to amenities such as healthcare, transport and local shops. Character – Perhaps the modern aesthetic isn’t for you and you would prefer a property that has character and a sense of history. Conversions in period buildings can be truly stunning. Local community – It's likely that a conversion flat will be well-situated in an already thriving community, with neighbours and amenities nearby. Possibility to add value – Not only can you put your stamp on a conversion flat more easily, but it’s possible to add value through renovations. Poor layout – Naturally, a converted flat comprises the space of an existing property. Therefore, you’re limited to the existing layout. Inferior quality – It may be the case that the quality doesn’t match up to a bright and shiny new build. There may also be ongoing maintenance and repair issues within the property. Old-fashioned aesthetics – Architecture and design has changed a lot over the past twenty years. Even if a flat has been renovated, some details may still seem old-fashioned. New builds are clearly worth more and are in high demand in London. Why else would they carry such a premium? Yet they can lack the character and atmosphere of converted flats. If you’re a property buyer, then you should consider your needs and desires for a home. If you’re a buy-to-let investor, then you should consider the desires of your target tenants, as well as your long-term investment goals. If you’ re looking to invest in property in Brixton or Battersea, then please get in touch for more information and to see the current properties & new and old - for sale in these areas.